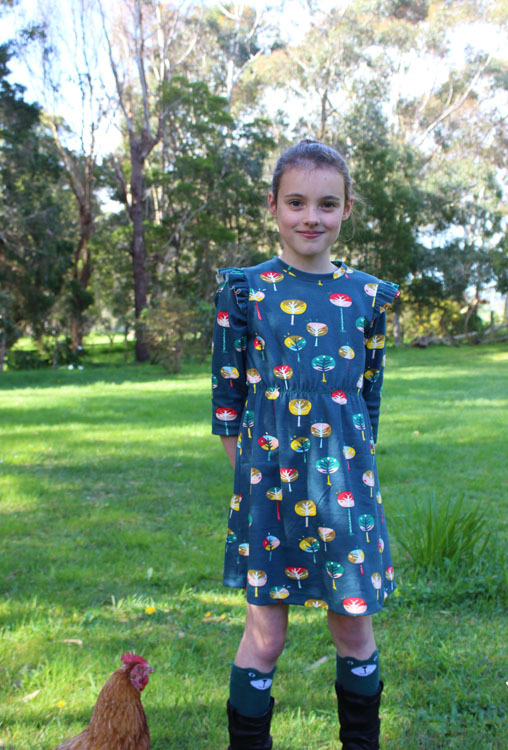 We have just finished two weeks of school holidays and I have found a bit of extra time to sew. 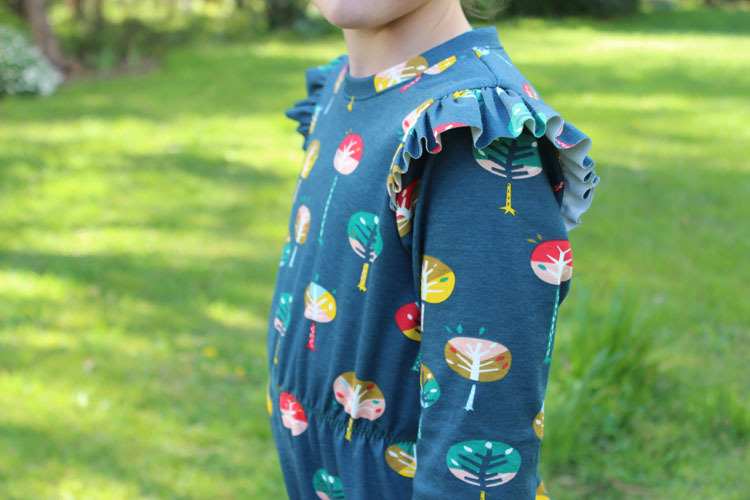 I found this gorgeous Birch jersey on sale from Spotlight a few weeks ago and bought a metre of it without knowing what I would make. 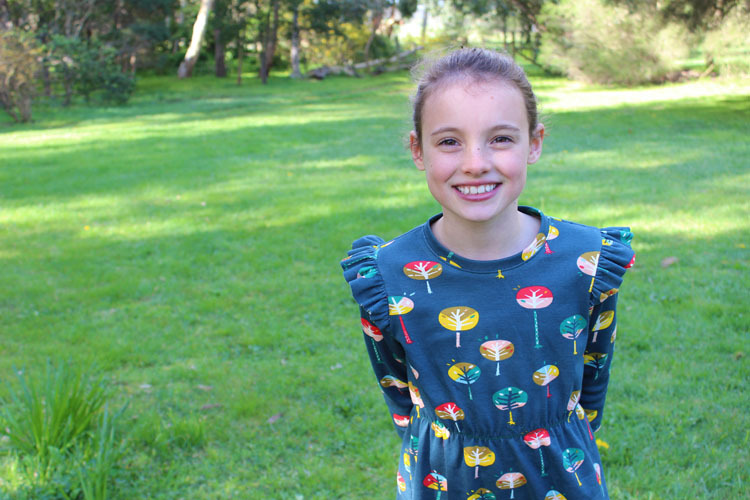 On Saturday I was in the mood for a quick sewing project so decided to make Issie and Issie dress (using the Issie pattern)! Funnily enough, as I was cutting into the fabric I saved the selvage so I could note it here. 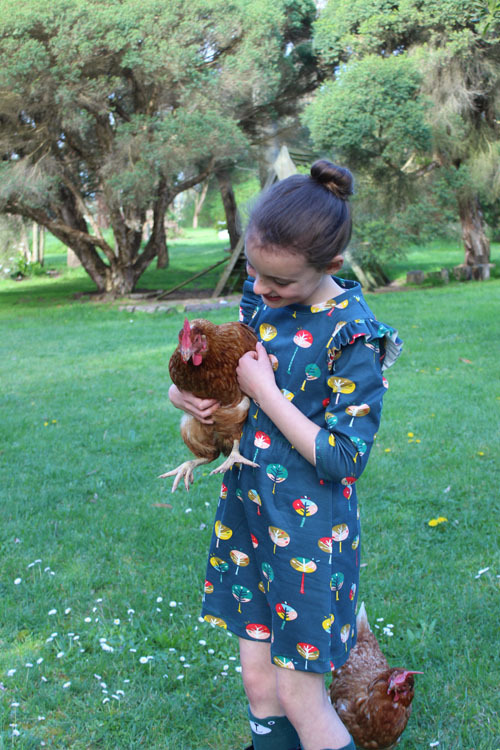 The name of the fabric is Emily Isabella for Birch fabrics...so this dress was meant to be worn by at least two of the girls in this house! The fabric has a lovely weight to it and falls really nicely in this dress. I used the jersey for the neckband but if I had have added cuffs, the jersey wouldn't have had enough stretch in it. 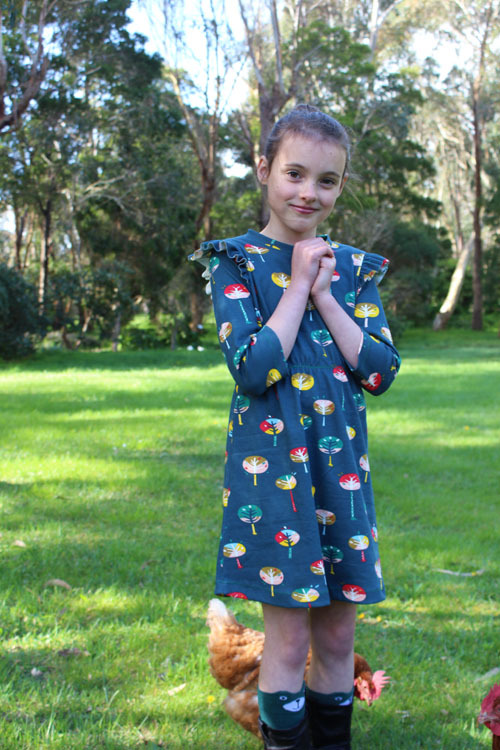 This dress features the three quarter sleeves, should frills and elasticised waist. Isabella definitely approves and wore it two days in a row. 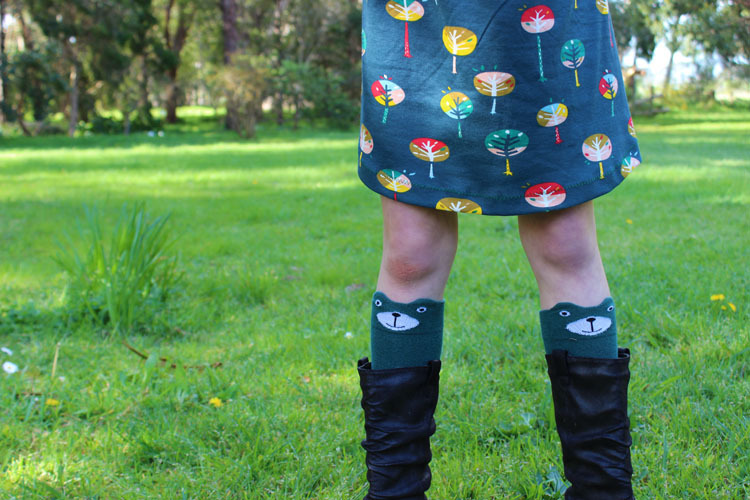 We found some of Emily's socks and pulled them up high to match. I love how it turned out and our weather is still up and down so this dress is perfect for a cool October. Photos in our backyard feature feathered photo bombers. 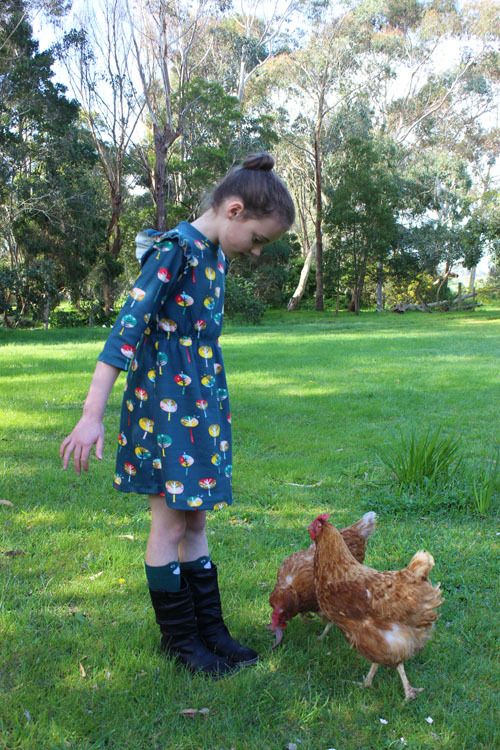 Our chooks will follow you anywhere! They're great animals to have around. We let them free range all day long and they sleep in a little A-frame coop at night. Their only downside is that they love to poop all over our back porch. Grrr. 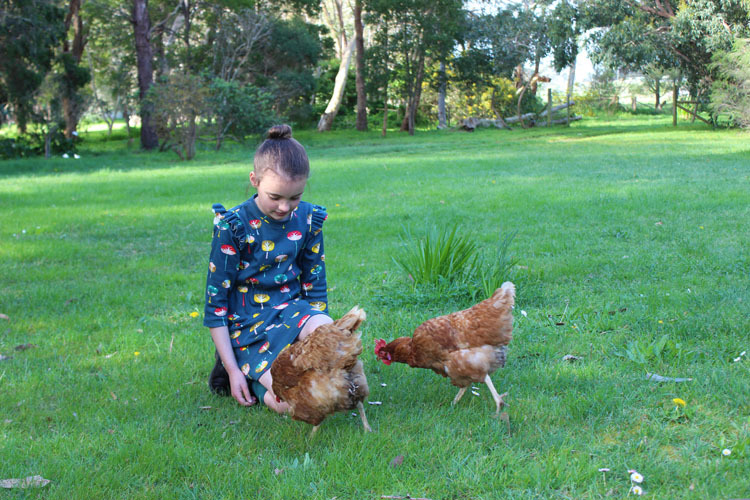 I forgive them for the eggs and their character and life about the place. 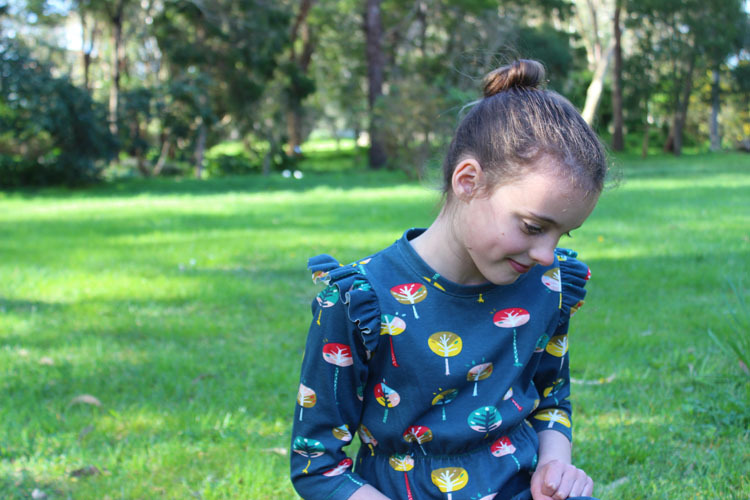 Did you know you can win a wonderful prize worth over $50 AUD by sewing along with the theme #sewponystretch by October 31st? Check out sewpony on instagram for the details.